I'm obsessed with Superga sneakers. They are the perfect combination of casual, comfortable and beautiful... which means, I must add these raffia sneakers to my wishlist! And if you are not convinced, then head over to superga-usa.com/ to watch the amazing video with Scott Schuman, Garance Doré and Superga creative directors, Mary Kate and Ashley Olsen. 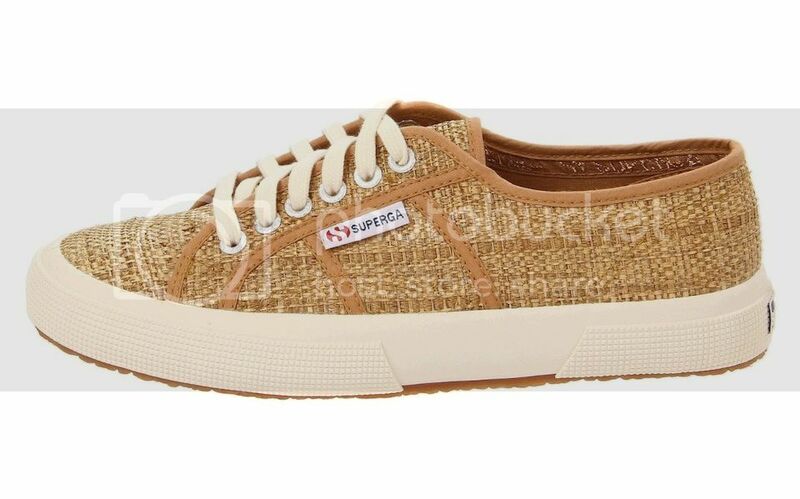 I love this model of raffia Superga.... very cool! These raffia sneakers are so cute! I love that they are different than most sneakers! Fun material! Super cute! These are really cute and very popular here in Safrica. Thanks for taking the time to stop by. Happy Friday doll! Awww, mucho que no pasaba por aquí! me encantó la renovación del header y del blog en general, super super cute! I love love love superga ! I'm not a huge fan of that wicker basket look on shoes, but maybe for the beach! Oh, I love love the texture of those sneakers! Casual, but really interesting. Awesome find! It looks like made from "abaca" fiber. Nice! I'm intrigued! I think I want one in my closet! Those shoes are really awesome!!! Cute! have you checked out the Superga collection by Chiara Ferragni? Fabulous!